Evan Taylor of University of Illinois at Chicago (UIC) has written an open letter to faculty, staff, students, and alum of UIC, inviting all to join in offering a moment of silence in solidarity with Justice for Mike Brown Monday August 25th at 10 a.m. at the UIC Quad. CAIR Chicago will be joining in part, as many of our staff, volunteers, and interns are graduates or current students of UIC. We would like to invite our community to join us along with the UIC community to commemorate the memory of Michael Brown and reflect on the civil rights issues facing the black community in Chicago and America. Thirty-three percent of all Muslims in America are black, and we are proud to stand united as Muslims for equality and civil rights during this event. "My name is Evan Taylor, a senior within the College of Education, and I along with many of my Black peers request that you stand in solidarity with us on Monday August 25, 2014 at10AM. 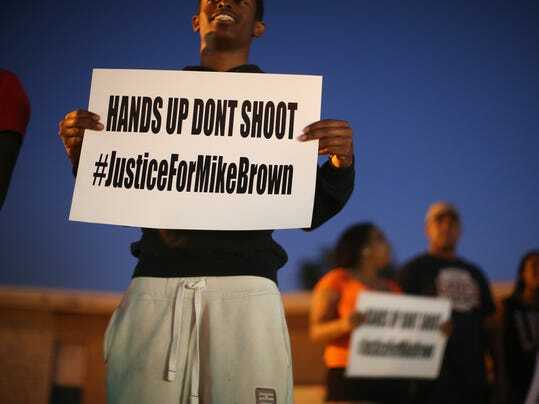 As some of you may know on August 9, 2014 Mike Brown an 18 year-old Black male was gunned down by the police in Ferguson, MO. Mike Brown was to begin college the following week, but had that taken away from him by a police officer who was raised in a society where Black skin is perceived as a threat. Here at UIC, we already have a small population of Black students, andthatpopulationisslowingdecliningalongwithourretentionandgraduationrate.I ask you all to stand with us this coming Monday as we commemorate the passingofourdear brother Mike Brown and all the other Black males and females that have been andcontinueto be victims of police brutality. While we aim to commemorate Mike Brown,wealsoaimtouse this energy as a call to action for unity amongst the Black community and unity within the campus as well. This effort requires the support of the entire campus community, which means we need you to stand with us and acknowledge our stories and narratives and our pain.This is not only for Mike Brown, but for Trayvon Martin, Emmett Till, Oscar Grant, Jordan Davis, the youth in Chicago, the Black students on campus and the future Black students that will come to, graduate from and teach at UIC and work with the UIC hospital. We, the Black Student Body, request therefore that you join hands with us as we meet this Monday to commemorate this moment in history and to engage in the spirit of social justice and equality here at UIC. Thank you for taking time to read this letter and I hope to see you this Monday. Black Student Union Outreach and Organizing Chair"